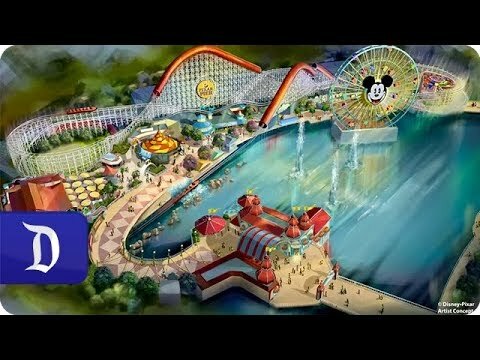 At D23 this year, Disney announced that Paradise Pier in Disney’s California Adventure park would be replaced by the new “Pixar Pier”, featuring attractions based on some of Pixar’s most loved movies. Not a huge amount of detail was announced back in November, but what they did say was that the current California Screamin’ ride would be transformed into a rollercoaster themed on The Incredibles, called the Incredicoaster. The new ride will combine characters, lighting and special effects in order to tell a story while guests travel at high-speeds. The story itself follows the Parr family as they race to catch baby Jack-Jack who has escape his babysitter, Edna Mode. Despite the awful name, this ride does sound fantastic. I love the idea of telling a story whilst riding a rollercoaster, and to twin it with a brilliant film from Pixar just puts the cherry on top!